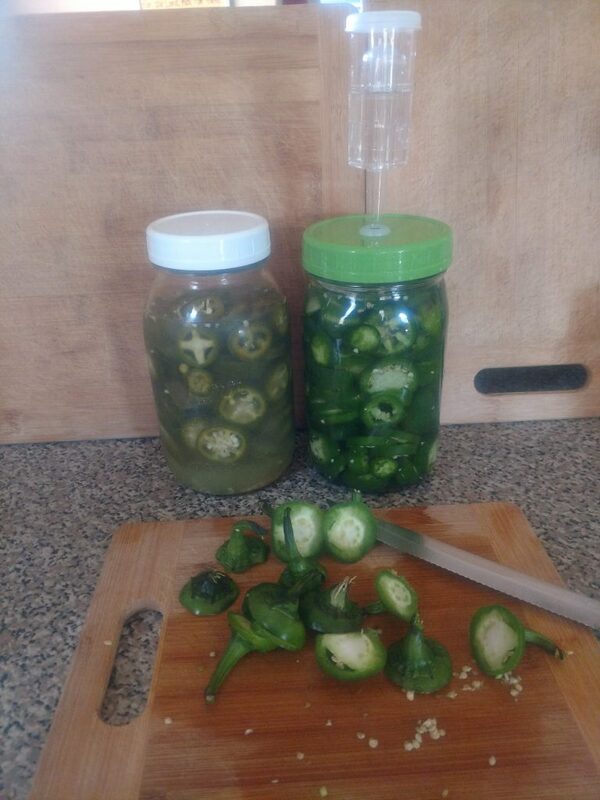 Fermented jalapenos are my husband’s favorite. They taste just like what you typically find in the jar on the grocery store shelves, but are made without using distilled vinegar and have no preservatives. These are easy to make. If you have never tried to ferment any food. This recipe would be a great place to begin, providing you like jalapenos. Just slice, add to a jar with salt water brine and leave on counter top for a couple of days. Fill jar with the sea salt water brine up to at minimum 1 inch from the top of the jar. Add cap and leave on counter top or place in a cabinet, out of direct sunlight, for at least two days. You may want to sit the jar inside of a bowl to catch any juices that may escape. Use a wide-mouth jar and glass weight to guarantee that peppers stay submerged underneath the salt water brine. 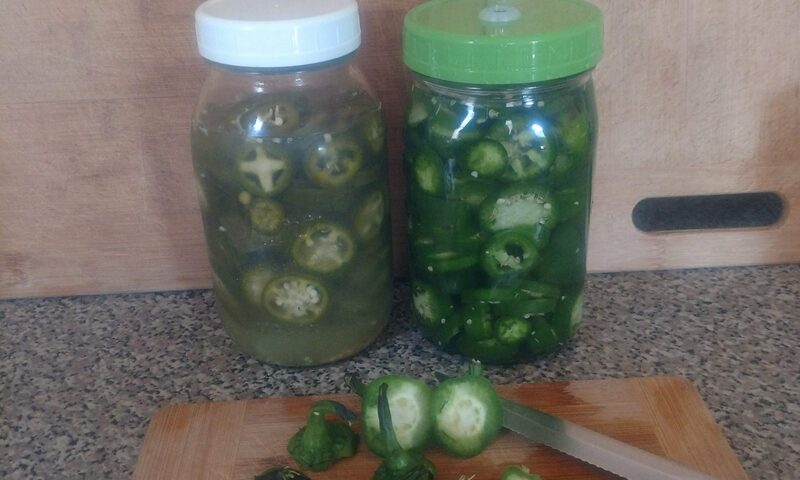 Or, simply open the jar on day two/three and press jalapenos under the salt water brine. Use an air-lock system to prevent air-bubbles (created during fermentation process) from pushing the juices out of the jar. 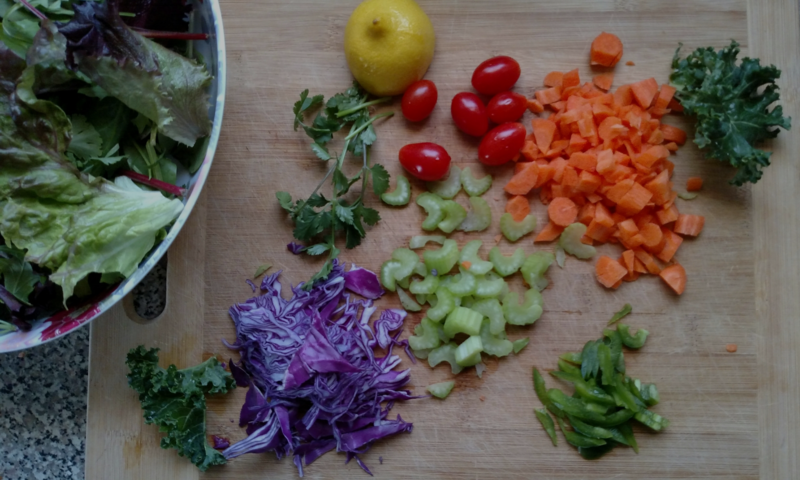 Purchase a Fermentation Kit to make fermenting easy!